Shoreline—and its many tidal datum variations—is commonly referenced as a boundary component in legal descriptions, as the point of origin for jurisdictional boundaries and as the boundary between public and private ownership. States use various tidal datums to delineate shorelines and jurisdictional boundaries, which serve many legal, technical, and general uses. 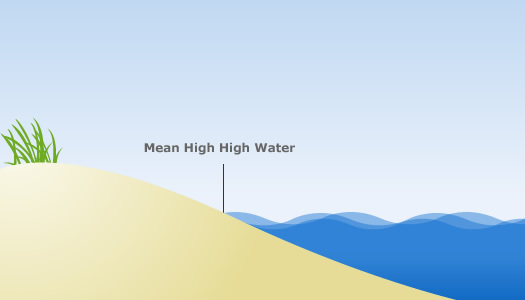 The above graphic shows some of the tidal datums commonly used to define shorelines and boundaries. 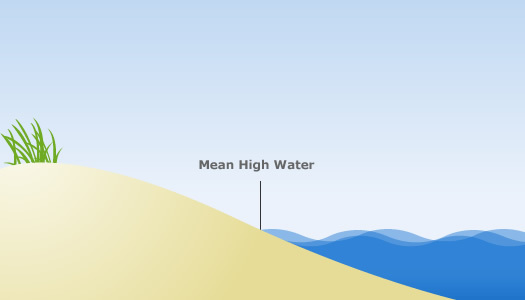 As an example, these terms and other variations are used to describe the land-water interface for state submerged lands. In this image lidar elevation data are displayed as a color with contour lines. 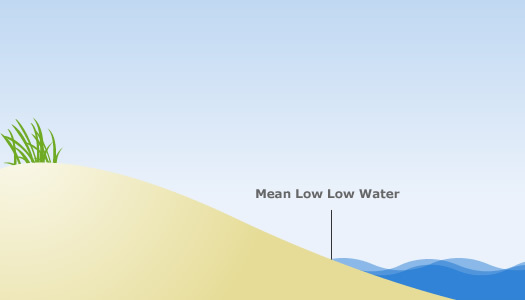 The elevation data are used to designate the primary dune crest, which in this example is a pink line. 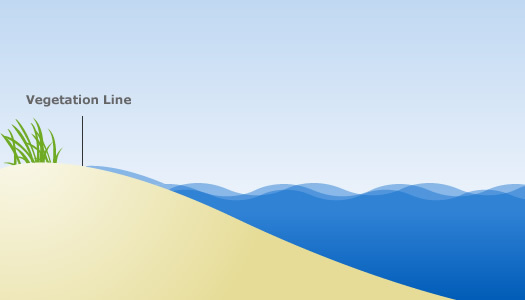 The South Carolina Office of Ocean and Coastal Resource Management places the building setback line a minimum of 20 feet landward of this dune crest. The distance of the setback line from the crest varies for each area depending on the local erosion rates.